Peter Vermeulen, portfolio manager with the Plethora Precious Metals Fund in The Netherlands, offers a European perspective on investing in precious metals juniors and has solid insights to help manage risk in junior mining portfolios. In this exclusive interview with The Gold Report, Vermeulen counsels precisely targeting companies that have promising projects and secondary benefits—and the skilled management to deliver on them. The Gold Report: Peter, your firm decided to launch the fund in August. Why precious metals? Why now? Peter Vermeulen: The decision starts and ends with gold. Gold should be an essential part of every investment portfolio. Gold is insurance against the unthinkable, especially today, when the global economy is unstable and vulnerable, and when the unthinkable can happen. Gold doesn't have counterparty risk. It cannot go bankrupt. It cannot be printed. Gold is being bought by central banks, unlike in years past. But, while the fundamentals behind gold are strong, the prices for precious metals equities—the companies that actually get gold out of the ground—are at historic lows. Today, gold in the ground can be bought at giveaway prices, yet companies get no valuation for their projects. The disconnect between rising gold prices and low valuations of gold companies made us launch this fund. "Today, gold in the ground can be bought at giveaway prices, yet companies get no valuation for their projects." We are now seeing mergers and acquisitions activity heating up. We frankly could not have imagined a better moment to launch our fund. TGR: Although you are based in the Netherlands and not open to American investors, the Plethora Precious Metals Fund is available to Europeans and Canadians. What's the appetite among European investors for a fund with a lot of exposure to the high-risk junior mining sector? PV: There's an important distinction between the high-risk juniors and the mining companies that are already producing cash flow or have already defined a mining resource and have projects with demonstrated economic viability. Yes, high-risk companies can generate "homeruns," but these occupy only a small part of our portfolio. The majority of our portfolio is spread among the small to midtier emerging producers, companies that already have a defined resource. Here in the Netherlands and in Europe, because people are increasingly buying gold and silver, there is a strong appetite for gold companies and for funds doing active selection. And those investors who have come to realize where gold actually comes from see opportunities with the companies getting gold out of the ground. In addition, investors have been disappointed recently by mining equities. The larger names have had difficulty replenishing gold supply and keeping production going. There have been crazy takeovers and diversification away from gold. Investors realize that, in this sector, active selection and active management are needed to get a good return. That's why the appetite for our fund is very good. TGR: Your fund requires a minimum investment of €100,000. Could you briefly summarize why investing in your fund is better than investing directly in the companies in your fund. "In this market, a scattershot approach doesn't work." PV: The active management that we offer is important. There are so many companies and distinguishing appropriate ones for investment requires both skill and experience. Furthermore, our funds can participate in discounted financings that would otherwise be very hard for the general investor to access. These financings sometimes come with warrants providing extra leverage for the funds if the deal goes well because then we can buy more shares at a set price. In this market, a scattershot approach doesn't work. There are too few sufficiently interesting projects spread among too many companies. Unlike some other funds, we are focused. We know the companies that we invest in. TGR: As of Oct. 8, the fund had about 25 holdings in the precious metals sector, with around 32% in feasibility-stage projects, 22% in producing companies, 18% in closed-end funds, 11% in emerging producers, 8% in junior exploration plays, 6% in cash and 3% in royalty companies. What is your rationale for this asset mix? PV: Currently, we see the best opportunities with companies that have both defined resources and have already done studies to show that these resources can be mined economically. They have the best chance to be bought out because there is a gap between what the big gold companies yearly produce and new discoveries. This gap gives us an opportunity. 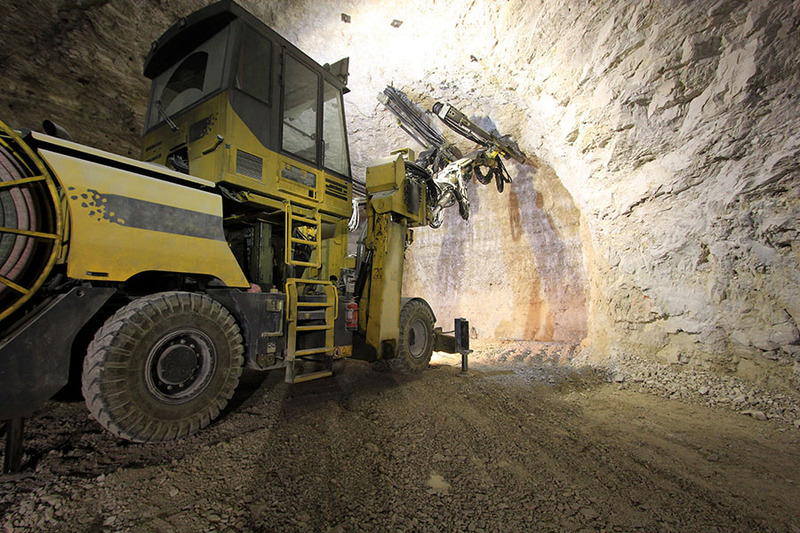 Companies with defined ounces that can be economically mined are poised to fill the gap between production and new ounces needed to come to the market. That's why our largest weighting is in feasibility-stage project companies. Producing companies will always be a cornerstone of our portfolio, and we see more opportunity in the small and midtier producing companies than in big caps or the majors like Barrick Gold Corp. (ABX:TSX; ABX:NYSE), Newmont Mining Corp. (NEM:NYSE) and so on. Smaller, midtier producers trade at a discount. And, unlike the majors, the small and midtier producers actually show growth and know how to keep costs at bay. That's also where opportunity lies. TGR: Almost 20% of your fund is in the CMP Gold Trust, which is a Canadian fund. That's a significant percentage. Tell us why you made that move. PV: It's actually a closed-end fund that's listed on the main board in Toronto. It seems to be overlooked by a lot of people because it trades at a discount of approximately 30% of its net asset value. Ned Goodman and Murray John, two well-known Canadian fund managers with a great track record, run CMP Gold Trust. Their portfolio consists of high-quality mining companies like Osisko Mining Corp. (OSK:TSX), Sabina Gold & Silver Corp. (SBB:TSX) and Queenston Mining Inc. (QMI:TSX), to name a few. These are companies that we would normally buy in the market, but now we can do it with CMP Gold Trust for $0.70 on the dollar. TGR: You have 11% in emerging producers and another 8% in junior exploration plays. There is definitely a line between those two, but for the most part, that's another 20% in the junior sector. Why are you so heavily invested there? PV: It's 8% in juniors. With these junior companies, there are actually a few investments that are trading below cash. There is a junior that has a net asset value that is much higher than the current price. So even though 8% is in juniors, if you look at the breakdown, it's actually less risky than you might think. TGR: You were once a newsletter writer. How did that experience shape some of your choices? PV: The newsletter monitored a model portfolio that we created of gold and silver companies. How we selected companies for the portfolio doesn't differ much from how companies have selected for the fund. We've run this model portfolio for three and a half years, and the return has been +396%, even though we started in September of 2008 and the market took a nosedive in the months that followed. TGR: Let's look at your specific holdings. Your largest holdings among the feasibility-stage equities, in order, are Rainy River Resources Ltd. (RR:TSX.V), Probe Mines Ltd. (PRB:TSX.V) and Esperanza Resources Corp. (EPZ:TSX.V). Why were they chosen? PV: We chose Rainy River because the company is attractively priced compared to the value of its Rainy River gold project in southwest Ontario. In its latest model, the company managed to increase the average head grade to 1.45 grams per ton (g/t) gold. That's making the project less of a leveraged play than it used to be; that means that the gold price doesn't have to go through the roof to make this project work. The combination of a large, robust project in a safe jurisdiction is just golden. 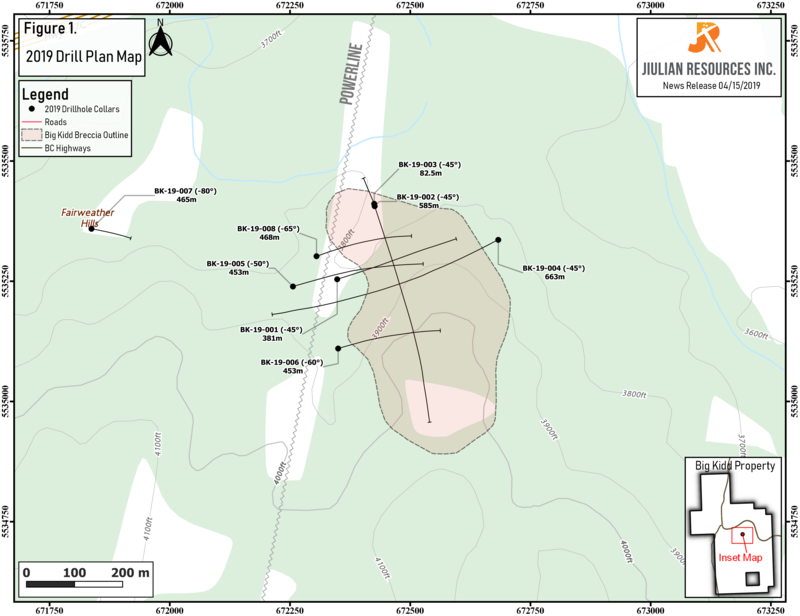 TGR: Rainy River Resources' Rainy River gold project has 8 million ounces (Moz) in all categories. The preliminary economic assessment (PEA) is out and a feasibility study is expected in early 2013. Do you plan to hold it until the feasibility study or are you planning to hold it through to a production decision? PV: We expect good things from this feasibility study because Rainy River Resources is derisking the project with everything that it does. With derisking comes higher valuation. In the end, the company will either do a project financing or get bought out. TGR: Rainy River plans to have an open pit and then go underground. Do you prefer that model to a strictly underground operation? PV: It makes sense for Rainy River's assets because a lot of ounces are within the first 400 meters (m), where it has been shown that a profitable, open-pit operation can produce both at large scale and at a good grade. TGR: The open-pit is very low grade, though. The cutoff, I think, is 0.35 g/t. Isn't that pretty small? PV: It's a relatively low grade, but the Rainy River has upped the life of mine average to 1.45 g/t, making it a nice combination of open-pit and underground mining. There are not that many companies around with a planned production of over 300,000 ounces (300 Koz) per year in a safe jurisdiction that are also attractively valued. TGR: Probe Mines has the Borden Lake gold project in Ontario, Canada. It has outlined about 4 Moz gold in the Indicated category there. This used to be chromite play, and now it's a gold play. Tell us about that evolution. PV: It's very interesting because Probe Mines was sitting on this Borden Lake concession that wasn't its flagship asset. That was indeed a chromite play. But then the company poked a few holes into the Borden Lake project in 2010, and came up with this gold discovery. Now, it is the flagship property. The management team managed to get this project from 0 to 5.8 Moz in all categories in just two years' time. That's an amazing accomplishment. 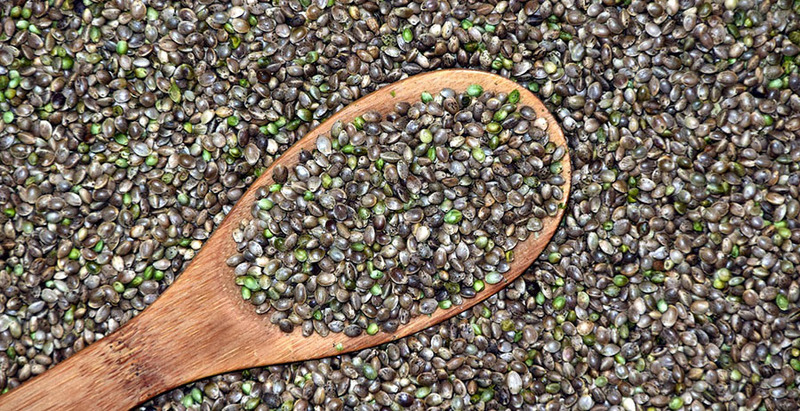 The resource is still growing, but the market hasn't shown the company any love because ounces in the ground are only valued at about $11/ounce (oz). People dismiss this as an ultra-low-grade, bulk-tonnage play that will never turn into a mine, but they should have a closer look. This deposit has a higher-grade core zone that's running at 1.4 g/t that bodes very well for the upcoming PEA/scoping study. The study will be a big near-term catalyst, and one that will, in my view, open people's eyes to the project's viability. 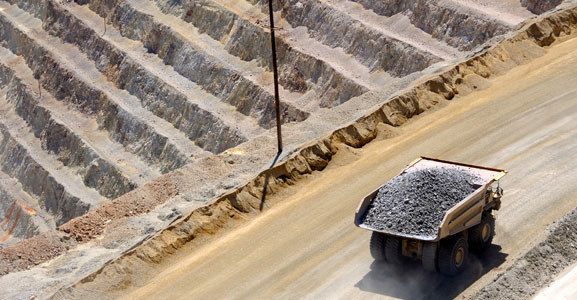 "Investors realize that in the mining sector active selection and active management are needed to get a good return. " TGR: So you're getting the gold at a discount—and the chromite for free. PV: Exactly. The chromite play is a well-defined resource, and is one of the higher-grade chromite resources in that area. Cliffs Natural Resources Inc. (CLF:NYSE) plans to put its chromite deposit in production. While Cliffs has enough resources, higher-grade resources will run out at one point. So it would make sense for it to buy the assets of Probe, which are basically lying next door. Probe also has a royalty on Agnico-Eagle Mines Ltd.'s (AEM:TSX; AEM:NYSE) Goldex mine. Agnico actually announced that it might put the zone on which Probe has a royalty into production. So that's also going to provide some cash flow and monetizing opportunities for Probe. Apart from that, Probe has $27 million (M) in the bank. TGR: Didn't Agnico-Eagle suspended operations at Goldex? PV: It did, but it is now assessing if a few zones can be accessed in a different way. This end zone on which Probe has a royalty will come into play in that case. TGR: Esperanza Resources recently raised its Measured and Indicated resource by about 60% at the Cerro Jumil gold project in Mexico. Tell us why you hold it. PV: Esperanza owns a relatively simple, open-pit, heap-leach gold project in Mexico. The grade is around 0.8 g/t gold, which is decent for an open-pit, heap-leach oxide gold operation. The economics are very attractive because the capital expenditure (capex) for such a project is much lower than with other projects. When Minefinders Corp. (MFL:TSX; MFN:NYSE) was sold to Pan American Silver Corp. (PAA:TSX; PAAS:NASDAQ) for $1.5 billion (B) back in January, the former executive and operating team stepped into Esperanza. We stepped into Esperanza when they did and got in at the same level they did. Esperanza has a proven management team now. It has a clear path to production. It has financing capabilities. Esperanza is less of a leverage play than some of the lower-grade, bulk-tonnage plays because it's an open-pit, heap-leach operation and it has low capex and high margins. It's very attractive. TGR: What are some other noteworthy companies in that category? PV: Speaking of open-pit, heap-leach potential operations, a key investment in our fund is Lydian International Ltd. (LYD:TSX). It has an asset in Armenia and has already conducted a feasibility study. The economics are very sound. The pre-tax, net present value of this property at $1,500/oz gold is over $1B, but Lydian's enterprise value is just around $250M. You can see the disconnect here. The feasibility study also understates the potential for a larger operation because the company is still converting Inferred ounces to Reserve ounces. The feasibility study, although very good and very sound, actually came a little bit too early given that the resource is far from being drilled out. TGR: Lydian recently took 100% ownership of that property and got the mining license from the Armenian government. How meaningful are those things? PV: They are very meaningful, although Lydian already owned a large percentage of the asset. Armenia is very supportive. One of the reasons why this company is trading at such a discount compared to what the project is worth is, I think, a mistaken sense of Armenia. The country is a young, but stable, democracy. It's mining-friendly. There already are a few mines in operation there. I think it's a case of people not liking what they don't know. TGR: Detour Gold Corp. (DGC:TSX) is your largest holding among your emerging producers. Detour is developing the massive, low-grade, bulk-tonnage Detour Lake gold project in Northern Ontario where the plan is to enter production in early 2013. Does that plan remain on schedule? PV: It looks to be still on schedule, as the company updated its production plan last month and is guided for a January 2013 startup. Guidance for next year, which is its ramp-up year, is already between 350 and 400 Koz/year at a total cash cost of $800–900/oz. But the average life-of-mine production will be 657 Koz at a cash operating cost of $710/oz with a mine life of 21 years. If you are bullish on gold and want a gold company with leverage and in a stable jurisdiction, Detour is the way to go. I think the cash flow per share potential in 2014 will be over $6 at current gold prices. So there is still value in this stock. TGR: On paper, Detour looks a lot like Osisko's Canadian Malartic project, which is basically just across the border in Quebec, although Malartic is smaller in terms of mine life. It has a similar scale of production, and a similar grade but Osisko had some production hiccups in that first year that hurt the company. It seems to have rebounded now. Are you worried about similar things happening with Detour? PV: It's interesting that you mentioned Osisko because that's one of the reasons that these hiccups could be less of an issue for Detour. Detour can benefit and learn from the Osisko's experience and failures, and can use that information to make sure that it won't get into similar troubles. But, to be honest, every time there's a ramp-up and a mine that goes into construction, things fail, things break down and things go wrong. It all comes down to having a management team that knows what it's doing and knows how to make corrections. We have strong faith in this management team and in its ability to succeed. TGR: You have a silver miner among your producers. Tell us about that, please. PV: SilverCrest Mines Inc. (SVL:TSX.V; SVLC:NYSE.MKT), which is a relatively new position of ours, is trading around fair value, solely based on its Santa Elena operation in Mexico, but there should be, in our view, a premium in the stock for the expansion plans that it has at the Santa Elena operation. Furthermore, you get the development potential of the La Joya project for free. The company just raised $30 million to eliminate the remainder of its gold hedge. So, it's an exciting opportunity; the expansion plans and the value that will come out of that is not baked in to the stock. TGR: Tell us about some of the other companies in the producing category. PV: Endeavour Mining Corp. (EDV:TSX; EVR:ASX) is very interesting. It has mining operations in Ghana and Burkina Faso and it has a development project in the Ivory Coast. In August, it launched a successful bid for Avion Gold Corp. (AVR:TSX; AVGCF:OTCQX), a producer in Mali, which had put a hold on its expansion plans after the coup that took place in that country. 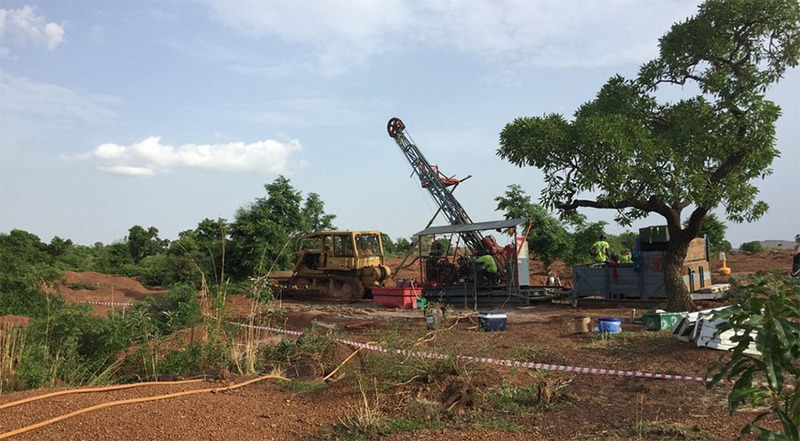 Endeavour now is a West African powerhouse with three operating mines in three different countries, producing more than 300 Koz/year at attractive average cash costs. After this deal closes, we expect a lot of inflow from the larger institutional funds given the enlarged size of the company and the increased diversification. TGR: Endeavour is led by Neil Woodyer. It has a solid management team, top to bottom, but Neil is leading that charge. What are your thoughts on Endeavour's management? PV: I like the way the management is aggressively building the midtier producer. That's exactly the way to do it. I like companies that have diversification, especially in Africa. Its operational track record is very impressive. That is one of the key factors to look at when selecting producing companies. I want a management team that under-promises and over-delivers. TGR: Were you a little concerned about the dilution with an all-share takeover offer for Avion? PV: I think it's a good thing that Endeavour is not using cash for Avion because Endeavour needs the cash for its aggressive rollout. All these projects have good cash flows; expansion plans can be funded from that. TGR: Avion needed cash to further its underground assets, I believe. That was part of the reason for the deal. PV: Exactly. Now that Mali is getting a bit into calmer territory geopolitically, expansion plans that had to be put on hold can ramp up now. So it's actually good timing because Endeavour bought Avion at the low. TGR: Finally, please tell us about some of the exploration plays and companies that have a discovery but not much else. PV: We very much like the Yukon Territory in Canada for its exploration potential. 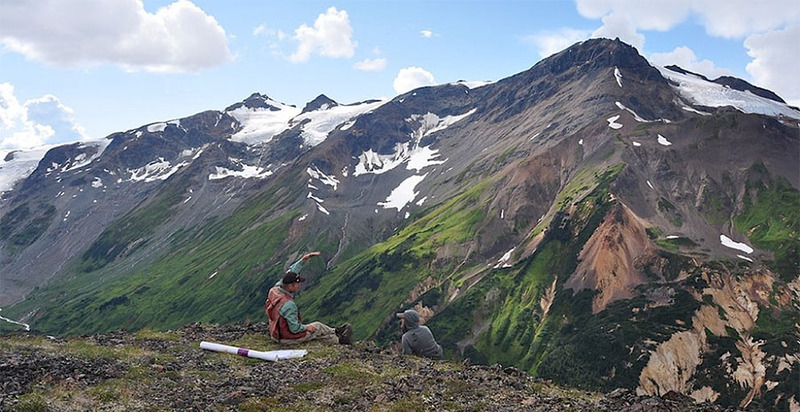 Over the past years, we have been very successful investing in the bellwether juniors in that territory, like Underworld Resources Inc. (UW:TSX), Kaminak Gold Corp. (KAM:TSX.V) and ATAC Resources Ltd. (ATC:TSX.V). Underworld was bought out by Kinross Gold Corp. (K:TSX; KGC:NYSE) in March 2010 for $135M. Geologist Adrian Fleming, who was the CEO of Underworld back then, actually is an adviser to our fund. There is now renewed excitement in the territory after Comstock Metals Ltd. (CSL:TSX.V) made a gold discovery. It was 75m at 3.74 g/t gold on its QV project, which is actually 15 kilometers north of Kinross' Golden Saddle deposit. We participated in the financing of Comstock, and the stock is now trading considerably higher. We see potential for Comstock's QV project to be the missing link for Kinross to get this whole wide gold play over the 3 Moz hurdle, because it is probably not there yet with its Golden Saddle acquisition. We are in this for the long haul and think this could be a very interesting junior story to watch over the next few years. We are also excited about Cayden Resources Inc. (CYD:TSX.V) because Cayden is currently drilling one of the best geochemical and geophysical targets in Mexico called La Magnetita. This is in a well-endowed region in Mexico where players like Torex Gold Resources Inc. (TXG:TSX) and Newstrike Capital Inc. (NES:TSX.V) already have had a lot of success. Cayden's next-door neighbor is the Los Filos mine by Goldcorp Inc. (G:TSX; GG:NYSE), which is the largest gold mine in Mexico. A leach pad of Goldcorp's is actually on Cayden's grounds. The management team of Cayden is very capable of making a success out of Cayden because it is known for its success with Keegan Resources Inc. (KGN:TSX; KGN:NYSE.A), which sits on more than 5 Moz gold in Ghana. Cayden is currently doing a 5,000m drill program on this exciting target, La Magnetita. That's the near-term catalyst. But, it's a big target, so even if Cayden doesn't hit on the first couple of holes, there is so much potential that eventually it will probably come up with something. TGR: What parting thoughts do you have for us? PV: How I see this sector is as, no pun intended, a minefield, yet you want to find mines within this minefield. If you have a large basket of stocks, the odds are that a lot of them will never make it to a mine, or will run into trouble or will dilute like crazy, so you won't ever see anything back from your investment. It's something that you have to realize when you are going to invest in this sector. It takes a lot of homework, experience and a learning curve before the mines can be distinguished from within the minefield. TGR: Thank you for those words of wisdom for our readers. Peter Vermeulen is a managing partner at Plethora Precious Metals Fund Management. The fund focuses on emerging gold and silver producers. Prior to founding the fund in August 2012, Vermeulen was the editor of The Gold Capitalist, a successful newsletter on gold and silver companies. From 2009 to 2012, Vermeulen was an analyst with a private closed-end investment company where he was responsible for investments in natural resources companies. He holds a Master of Economics degree from the University of Groningen in The Netherlands. 1) Peter Bryne of The Gold Report conducted this interview. He personally and/or his family own shares of the following companies mentioned in this interview: None. 2) The following companies mentioned in the interview are sponsors of The Gold Report: Queenston Mining Inc., Lydian International Ltd., Detour Gold Corp., SilverCrest Mines Inc., Comstock Metals Ltd., Probe Mines Ltd. and Goldcorp Inc. Streetwise Reports does not accept stock in exchange for services. Interviews are edited for clarity. 3) Peter Vermeulen: I personally and/or my family own shares of the following companies mentioned in this interview: None. I personally and/or my family am paid by the following companies mentioned in this interview: None. I was not paid by Streetwise Reports for participating in this interview. Peter Vermeulen has an interest in his fund, which was discussed in the interview.